Are you visiting London this Christmas? Well you are in for a treat because London puts on a fantastic array of festive activities and events every year during Christmas from authentic European-inspired markets, breath-taking shows, heart-warming carol singing and so much more. Being based in central London makes it easy for us to enjoy some of these amazing festive experiences and because we know it can be difficult to pick and choose the best, we have put together a handy list of Christmas events you shouldn't miss! 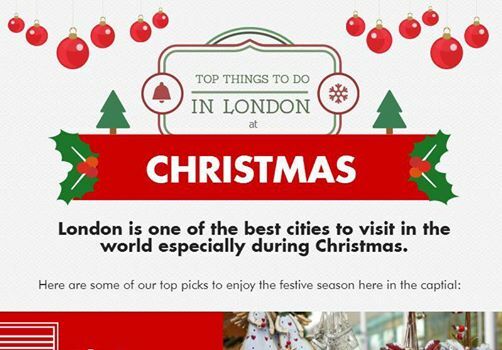 Click here to see our top things to do in London at Christmas infographic.